A much respected and highly experienced wreck and CCR diver has died, following a dive on the wreck known as the "Everest of wreck diving." 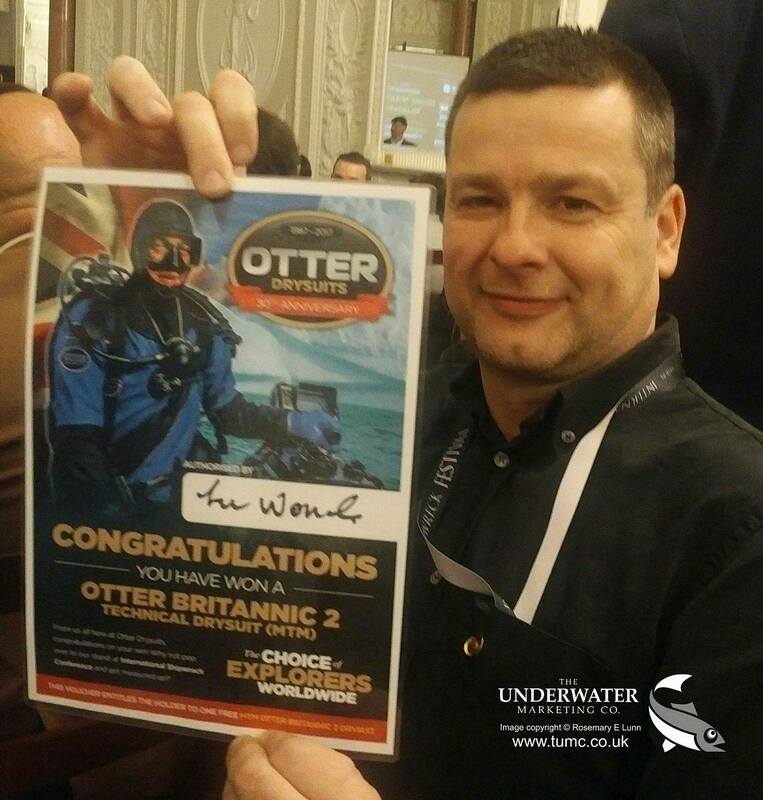 Steve Slater was delighted to win a new drysuit at the Warsaw Wreck Conference earlier this year. This Italian steamship sunk 51 years ago, after colliding with the Swedish ocean liner MS Stockholm in dense fog on 25 July 1956. Forty-six people were killed in the tragedy. Today, the Doria lies at 62-77m (203-252ft) depth, 60 nautical miles southeast of Nantucket, Massachusetts. Although the Doria is deteriorating, she is still considered as a "bucket list technical wreck dive" by many divers. Chronicle Live spoke to Steve Slater's parents who confirmed that their son was excited about diving this wreck.2 "He talked about it a lot," said his father, Edward Slater. "He texted us to say he arrived in New York and then texted us to say ‘All is good, going out to the boat’. It was his first and last dive there." Slater was part of a group of divers that embarked from Montauk, New York on Sunday 23 July. The wreck site is an approximate ten-hour steam. Once on site, the divers found the seas were rough and the weather was windy. Later in the day, the waves calmed, the sun came out and the divers prepared for their first dive on the wreck. The Cape Cod Times reported that Thomas planned to start his dive after other members of the group had begun their descent to the wreck.3 As he was suiting up, he heard there was a diver in distress and jumped in the ocean. Steve Slater was unconscious as Thomas and the crew of Ol' Salty II pulled him onto the boat at approximately 16:00 local time. Once on the boat, crew members and other divers performed oxygen enriched CPR on Slater, whilst the captain called the coast guard. A US Coast Guard helicopter was dispatched from Air Station Cape Cod. Slater remained unresponsive. CPR continued for two hours as the ship steamed back to Montauk, New York. Petty Officer Nicole Groll, a Coast Guard spokeswoman reported that the chopper crew was unable to hoist Slater because of the length of time CPR had been performed on him. "It was approaching two hours," she said. Slater remained on the boat. The 62ft charter boat, Ol' Salty II, arrived in Montauk Harbor during the early hours of Tuesday morning. New York Police Captain Christopher Anderson confirmed that a representative of the Suffolk County Office of the Medical Examiner declared Slater dead on scene. "A cause of death has not yet been determined. Police are investigating the possibility of an equipment malfunction and awaiting the results of the autopsy," said Anderson. Eight divers, including Slater have died exploring the Andrea Doria over the past 12 years.